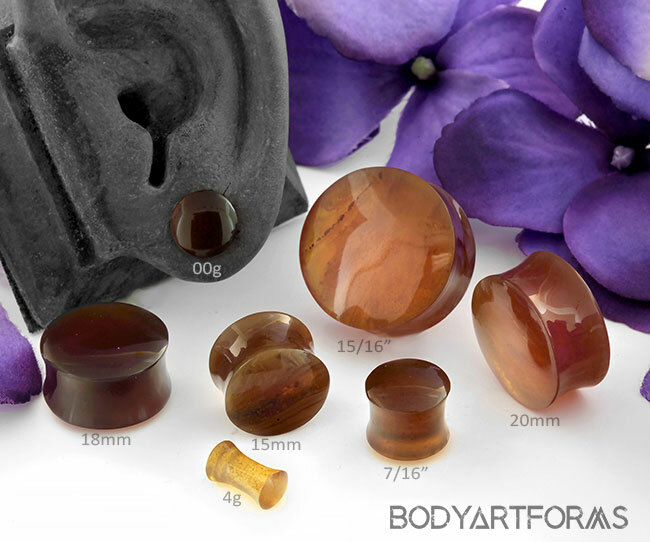 Light and smooth, these double flare plugs are made from solid genuine amber. This is the only run we have! Grab them while you can.